With two large en suite double cabins and queen size berths, this boat was specified from new by the current owners to be a comfortable and well-appointed cruising home. She is well equipped for blue water cruising with watermaker, solar panels, new dinghy and outboard, high spec generator and additional fuel tank. Her exterior appearance is striking with a 'champagne' finish, and the interior condition reflects meticulous owners. They have made some sensible additions to enhance life aboard - washing machine, improved cockpit seating, foredeck cushions, additional galley storage and DVDs in both cabins and saloon . 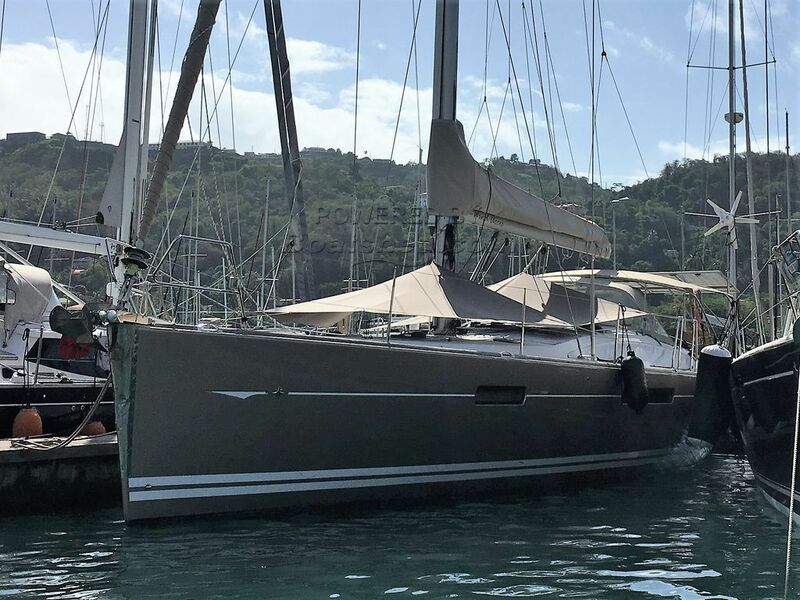 This Jeanneau Sun Odyssey 53DS Two Cabin Layout has been personally photographed and viewed by Anita Sutton of Boatshed Grenada. Click here for contact details.